Following the news of Tyler Honeycutt’s tragic passing, his mother said in an interview that he didn’t die from self-inflicted injury. 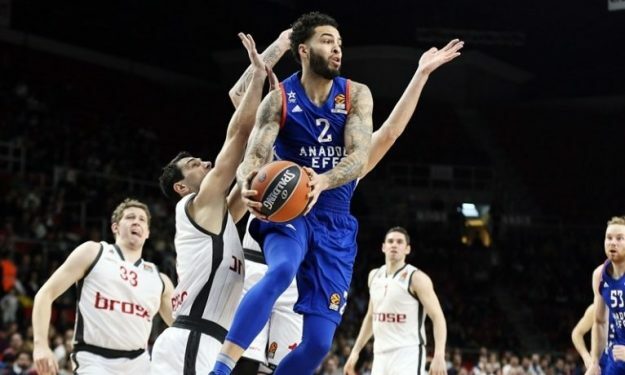 The day after the tragic death of Tyler Honeycutt, his mother, Lisa Stazel, is convinced that he was shot dead by the police, as she tells to Israeli Sport5. She described the events before the police’s involvement: “He planned to go and get help that day, but then he started to get so upset and I could not understand him. He really wanted to go back to the NBA, and he had an agreement to play in the summer league for Oklahoma, but they got the MRI tests and he had a knee problem. It was a huge disappointment for him. I told him that if he started to act aggressively I had to involve the police. So I called the police and they came and killed my child. They tried to tell me he shot himself. He was depressed and he assured me that he would never hurt himself because he knew it would hurt me, he promised me that”. “He did not shoot at them, he just shot in the air through the window, not at all in their direction, and that’s because he was in a panic and he was very scared. It was not a case of an attempt to calm the situation. The police moved 30 vehicles and put three helicopters into the air, all against one frightened child”, she recalls. Honeycutt’s mother is convinced that Tyler did not put an end to his life and explains: “It’s a pretty big house, and after it was all over I saw blood all along the corridor, smeared on the walls, and traces of blood to the closet in his bedroom. He didn’t shoot himself. If you shoot yourself, you usually die on the spot, you do not go from room to room like that. I believe that one of the policemen shot him through one of the windows”. “When they took his body out I begged them to let me see it, but they told me, ‘Madam, you do not want to see him like that,'” she says, “so I do not even know what part of his body he was shot at. And he crawled to the closet in the bedroom in an attempt to defend himself, where he bled to death, and he took all the furniture in the area and put it to the door to protect himself. They tell me that it will take them up to ten months to complete the investigation. But how can I trust them that they will tell the truth”.